No two travel cats are the same, so there is no detailed ‘rulebook’ on traveling with cats – how you might do it could differ from some other human trainers. But nevertheless, no matter how you travel with your cat, you should congratulate yourself (but mostly your cat) on your/their achievements. Traveling with cats is no easy feat! 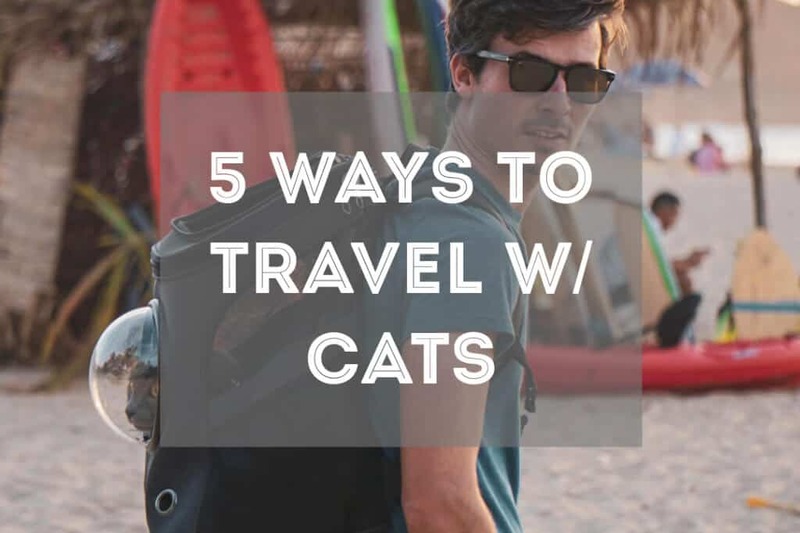 Let’s look at the many ways we can travel with cats below. One of the most popular ways to travel with your cat is either going on walks or hikes. To walk (or hike) with your cat, you’ll first need to harness and leash train your cat. Harness and leash training a cat to walk on a leash is a huge accomplishment, but it’s only the start. Many cat owners recommend training your cat as early as possible – kittenhood is the purrfect opportunity to harness and leash train a cat. Also Read: Can You Walk a Cat on a Leash? But if you missed the chance to train your kitten, don’t give up so easily. Some adult cats will still learn how to walk on a leash, especially if they are craving to get outdoors. While being able to walk or hike with your cat comes mostly from training as a young kitten, don’t forget that your cat’s personality has a big say into whether or not they will enjoy such activities. Most importantly, be aware of your cat’s likes and dislikes. Never force a cat to walk on a leash or harness. If it’s not their thing, let them enjoy their indoor naps instead! On the other hand, if your cat is a curious kitty for the outdoors then, by all means, try out hiking with your cat. Hiking with your cat is an awesome way to let your cat explore the great outdoors with you. You don’t have to leave your cat at home, first of all. Secondly, your cat will probably enjoy the ride much more than you. It is stimulating for them to see new environments, sniff new smells, and breathe in fresh air. If you do go hiking with your cat, you’ll likely need to travel via a cat backpack carrier. Cat backpacks are unique ways to travel with cats without having to drag along the uncomfortable cat carrier. Leave the carriers for trips to the vet, and take out your cat-designated backpack for hikes with your cat. Nowadays, there are a dozen cat backpack brands on the market. But which one should you invest in? For starters, make sure your cat will actually enjoy riding in your backpack. 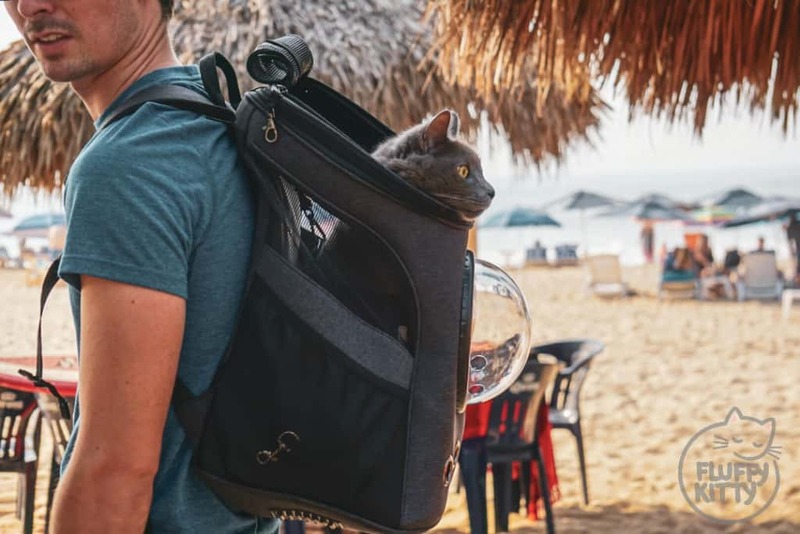 Once you think a backpack is a good fit for your kitty, start researching the market for the right backpack for your lifestyle. While bubble cat backpacks are enticing, try not to go for anything flashy. When it comes to a cat backpack, get something extremely sturdy, secure, and spacious. Always opt for a larger size, if possible. Traveling with your cat in a backpack is so much fun. It also offers cat owners peace of mind that their cat can explore comfortably and safely on longer trips, such as adventurous hikes. Traveling with cats on airplanes is a huge step from walking or hiking with your cat! But there’s good news. If your cat enjoys going on walks and hikes, chances are your cat will do just fine when traveling on a plane. We have traveled with Yoda several times on airplanes, and the experience just gets better (and the process a little easier!). If you need to move overseas, your cat will have to travel on a plane. The best thing you can do to help prepare your cat for traveling on a plane is by carrier training and going on short car trips. Also Read: How to Travel with a Cat on a Plane: Yoda Flies to Nepal! The more you can get your cat used to travel in general will help the day you fly. We arrived at Lyon’s airport (France) at 5am. We were the first ones, so we took Yoda out to stretch his legs. For those of you who are terrified to travel with your cat on a plane, hear me out! DON’T BE. Traveling with cats on planes is a much simpler process than the world (and airlines) make it out to be. It is only a checklist you have to do. That’s it! When you think of it that way, then it doesn’t seem so scary. Once finally on the plane, the trip will go smoother than expected. My best tip for traveling with cats on a plane is to do your research. The more you know, the less error you might make (or miss on someone else’s part). Traveling with your cat on a plane is doable. 🙂 If you want to move abroad, at least you have the option. 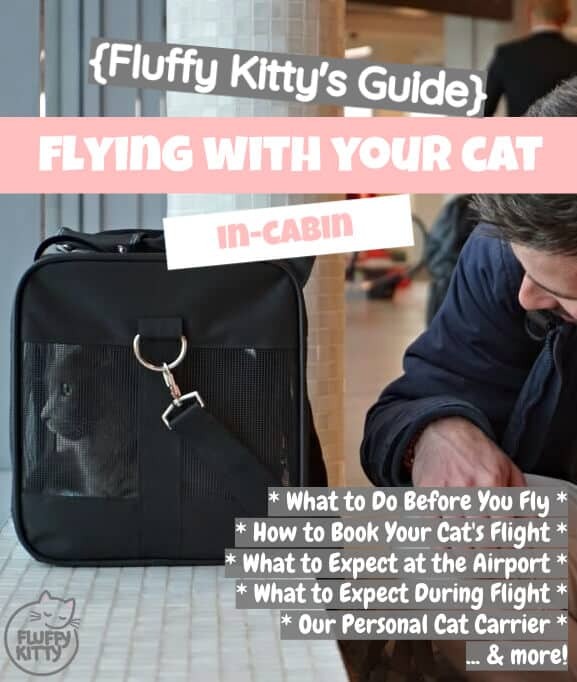 Make sure to read all our guides for traveling with cats on a plane in order to prepare for your trip. Let’s take a step back for a second. 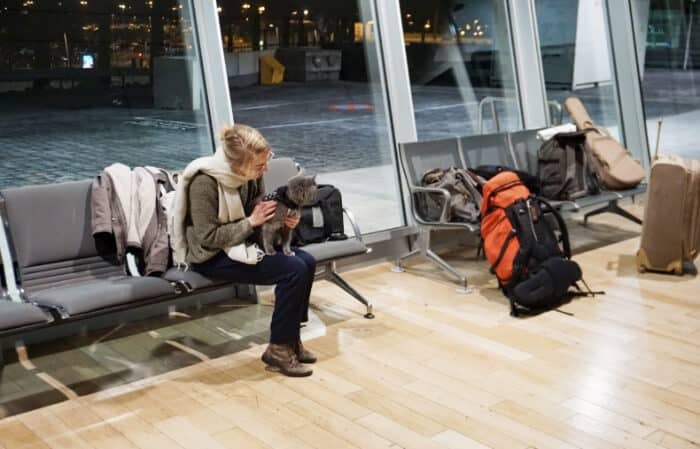 Most people won’t have to travel with their cat on a plane. But if you ever need to take your cat to the vet (which you will have to), then traveling with your cat in the car is a must. Nevertheless, car travel with a cat is by far the most popular method of traveling with cats. For one, it’s easy and affordable. For two, it’s pretty straight-forward and doable for nearly every cat owner. Safety is, of course, a huge priority when traveling with cats in the car since cats can easily distract the driver. Not only that, but cats can harm themselves if left to wonder in the car while driving. That’s why we recommend buckling your cat in when going for a drive. 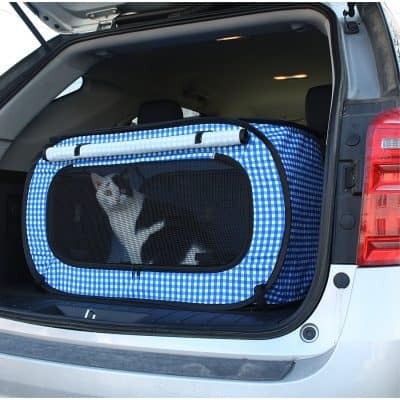 You can easily set up a cat carrier, cat backpack, cat pen, or just a gate where your cat can safely lie down and sleep for the trip. Many cats get stressed when they travel in the car. That’s completely normal, but it means you might have a sensitive kitty. Travel cats typically don’t mind car trips, so if your cat is ultra anxious when traveling in the car, let that be a sign that traveling is not your cat’s favorite past-time. But until then, we can only take advice from fellow travelers who choose to do van life with their cats. There are not many, but we know it’s possible. We can’t wait to travel with our cat via van. It’ll be completely new for us! Depending on your mode of travel, you’ll need various cat travel gear to make your life a little easier when traveling with cats. 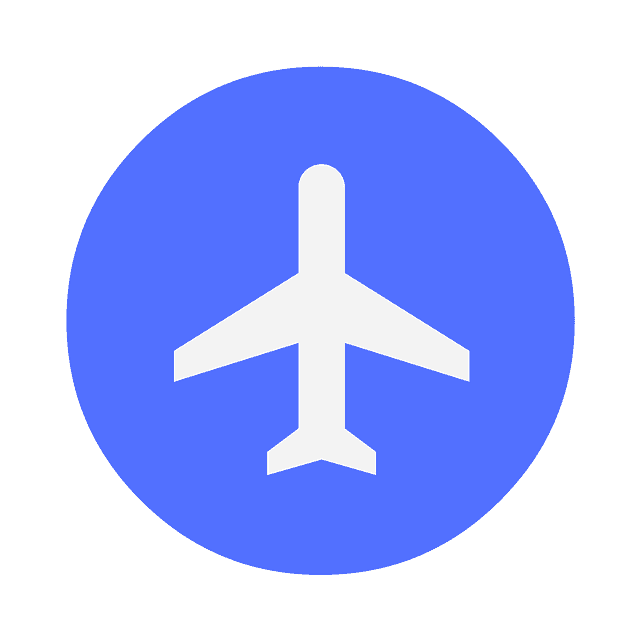 We detail everything that you need in our travel guides, so make sure to check those out! Otherwise, here’s a general checklist you can use to see which products you’ll need for traveling with a cat. You can add or subtract these items depending on whether your road trip is long or short. Of course, you don’t need to take all your cat’s gear with you if it’s just a trip to the vet. If your cat is not yet a travel cat but you want to take them on adventures, then listen up! We have a few tips to start training your cat for travel. First off, your cat needs to be a curious cat! A lazy cat who is not at all interested in going outdoors won’t like traveling (and therefore won’t train well). Secondly, start training your cat to travel at the earliest age possible. Kittenhood is the best time for cats to adapt to the travel lifestyle. 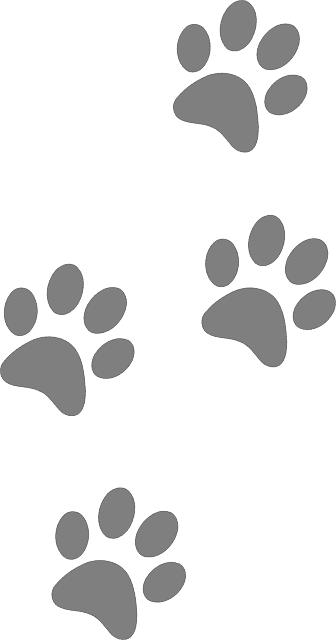 Beyond starting early, you can also start teaching your cat to travel with clicker training. This will come in handy later on, especially when hiking or teaching your cat to come when called. Getting your cat to like travel can be tricky – you need to always make your cat’s safety a priority. Avoid trying to “plunge” them into unknown situations if you don’t know how they’ll react. It could do more harm than good. Always introduce new travel gear slowly. 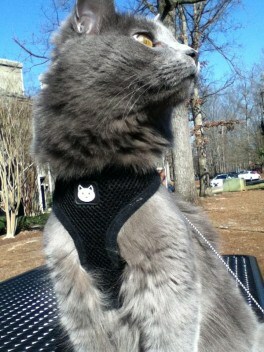 If you buy a harness and leash for your cat, let them sniff it out first before forcing it on them. And of course, reward positive behavior! In the end, the key is to be patient and practice as much as you can! The more you “expose” your cat to travel, the less of a scary thing it will become. But don’t forget your cat NEEDS to be curious about the outdoors. Final Thoughts: 5 Ways to Travel with Cats! We can’t wait to share more of what it’s like to travel with cats. With our travel guides, we hope you, too, can take your cat on more adventures! Feel free to send us your questions and comments guys. We’ll be happy to hear from you and will help in any way possible! 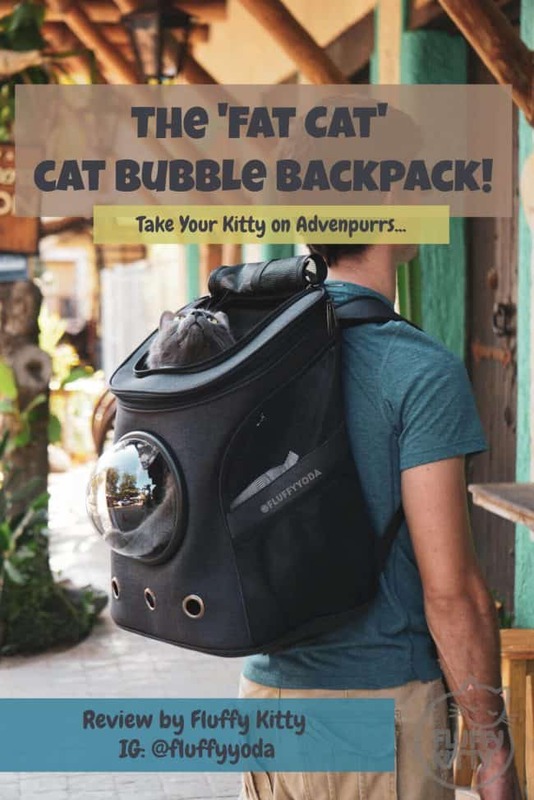 That bubble cat backpack is just about the most amazing thing I’ve seen!! Thanks for all your great content for us cat lovers. Cat Teeth Chattering: What Does It Mean?